Best Fast Food place in Downtown Saskatoon for fresh and healthy food with options of pitas, salads, and crispy flat baked pitas. Dairy free & gluten free all natural real fruit/vegetable smoothies without any artificial flavors or added sugar. Either visit us or call us and we can deliver to your location. One of the best options for corporate meetings, training over lunch, get together or any event. 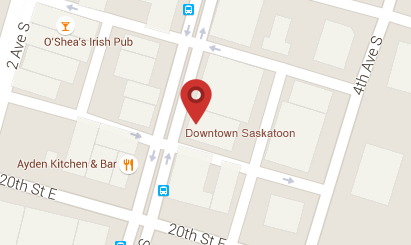 We deliver as well in 30 km radius of Downtown Saskatoon. We also deliver for any number of people from 1-500.